You pamper them. You massage them. You dress them up in designer shoes. But sometimes what your feet really need is a good, old-fashioned workout. Weak and inflexible feet, often confined to ill-fitting shoes and parked still under a desk all day, can directly contribute to chronic back, hip, knee and shoulder pain. Weak feet and ankles also cause injury to the Achilles tendon, calves, and create issues with your toes. Adding to the stress put on our feet is shoes, especially those that are narrow in the toes. Pushing toes up together in such a limited space decreases their dexterity and ultimately cases surrounding muscles in the foot to deteriorate. Toe extensions - using an elastic band, wrap it around all five toes, then flex, hold for five seconds, and repeat several times on each foot. Calf raises - stand at a bar or chair and hold lightly while balancing on one foot and rising up onto your toes, hold for several seconds, lower down, and repeat. Calf stretches - sit with one leg stretched out in front of you and wrap a towel around the ball of the foot, pull towel back gently, hold for at least ten seconds, and alternate and repeat for each leg. Lastly, once you have built up a steady exercise routine for your feet, kick off your shoes and go barefoot once in a while. Allowing your feet to breathe and stretch will have positive effects on your feet, and ultimately your entire body's well-being. Scraped knees and sprained ankles are pretty common in youngsters, but hip injuries? Surprisingly, they can and do occur in kids and teens, especially those active in sports. With their bodies still forming and bodies constantly changing, children are particularly vulnerable to orthopedic injuries. The hip is a ball-in-socket joint, and one of the body's largest weight-bearing joints. It endures tremendous wear and tear from kids who are always on the move... running, jumping, playing. An SCFE is more simply described as a femur, or large bone, fracture. A fracture is when a bone breaks into two pieces, and bones with open growth plates, such as in children, are very susceptible. This can occur via a high-impact sport, activity or other physical trauma. If your child is suffering from severe hip pain, see an orthopedist immediately. Surgery may sometimes be necessary to correct the fracture. When a small chunk of bone attached to a tendon or ligament is torn away from the main part of the hip bone, it is known as a hip avulsion. This injury is most frequently associated with high impact running activities, like track/field, soccer, basketball, and football. An x-ray is often the best way to diagnose it. Symptoms may be similar to those of the SCFE, but treatment for this is usually just restricted activity for a period of time. With any hip injury, especially those in children, it is important to seek early evaluation and take swift action if necessary. Allowing a hip injury to persist can predispose a child to painful arthritis later on. Parents, and especially coaches of young athletes, should always be mindful of the possibility of a pediatric hip injury. Our bodies are composed of 60 percent water. We lose that water continuously through sweat, tears, and urination. So it is essential to be forever replenishing those fluids. Too little water in our systems can lead to dehydration, which is a scary condition, especially during the summertime. Another sign of dehydration is dark-colored urine. If you are sufficiently hydrated, urine should be clear, light, and straw-colored. The average adult needs about 3 quarts of water daily, or about 8 to 12 glasses. And if you are spending time outdoors in the heat, you should consume even more. Drink plenty of water before, dug, and after physical activity. Take water breaks at least every 15 to 20 minutes when outside. Have a sports drink, or vitamin-fortified water, if exercising or being active for more than one hour. Swap out water for frozen fruit (like grapes and sliced peaches) or sugar-free popsicles for an icy treat. Limit alcohol consumption as it can increase risk of dehydration and impair your ability to make smart/safe decisions while outdoors or in the sun. Monitor salt intake as it can increase risk of dehydration as well. Head indoors or seek shade if you experience a dizzy or lightheaded feeling. Wear a single layer of lightweight, breathable, light-colored clothing when working or exercising outdoors, and consider also wearing a hat with a wide brim. If you experience dehydration-like symptoms, start by drinking small amounts of water over a long period of time to rehydrate yourself. If you are still not feeling well after that, it may be necessary to seek medical attention and receive fluids intravenously. What can be passed off as a pulled hip muscle may actually be something called hip impingement. Dr. John McDonald, orthopedic surgeon at Texas Orthopedics, says it commonly occurs in teenagers during their peak growth years, between 12 to 15 years old, although the painful symptoms may not be experienced for several years. Yet, without treatment the hip impingement could lead to arthritis later in life. 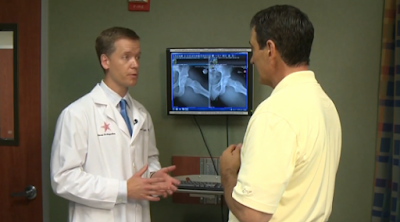 Watch Dr. McDonald's interview with KVUE to learn more about this commonly misdiagnosed hip injury among teenagers. If you're experiencing sharp pain in one or both of your hip joints, contact Texas Orthopedics at (512) 439-1001 to book a consultation. Congratulations to Drs. Kenneth Bunch, Brian Hardy and Ai Mukai who were selected by their peers as outstanding "rising star" doctor in Texas. 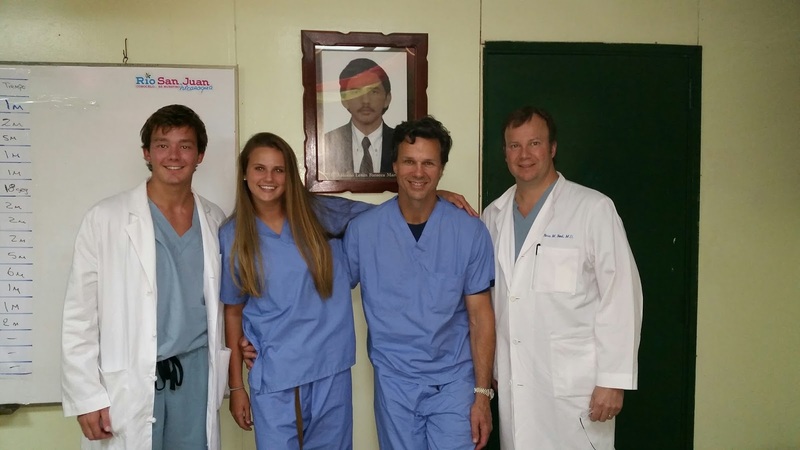 The results were published in Super Doctors Rising Stars, a special section in the July 2015 issue of Texas Monthly magazine. Physicians selected as Super Doctors Rising Stars must be active physicians who have been fully-licensed to practice for approximately 10 years or less. Only 2.5% of all Texas physicians are selected. Swimming is a spectacular summer activity. It's refreshing and relaxing. It is also a great low-impact, full-body workout. With any sport though there is an associated risk of injury. The repetitive motion used in swimming strokes puts pressure on the shoulder, knee, and hip joints, and as well as on the back. These types of injuries are known as overuse injuries. Too strenuous swimming can affect both the upper and lower body. The most common upper body injury is to the rotator cuff in the shoulder. 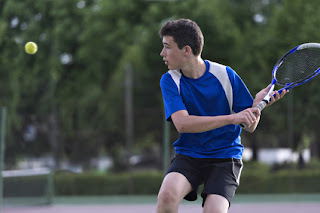 The rotator cuff is made up of several connected muscles and tendons that can weaken and tear with the continuous lifting of the arm as you perform a swimming stroke. Bicep tendonitis is another injury that can occur in the upper arm resulting in a painful inflammation. The knee is the most frequently injured joint in the lower body. Much like Tennis or Golfer's Elbow, there is also what's known as "Breaststroker's Knee," which is unique to the sport of swimming. The repetitive motion of kicking the leg at a wide, yet controlled, angle can take its toll on the joint and surrounding tissues. Hip and lower back pain can also arise from the non-strop kicking. Vary and/or alternate the strokes during your workout. Warm up for a few minutes out of the water before diving in. Include core-strengthening exercises to better support all the exertion of your upper and lower extremities needed to swim. Stop and take a break when you experience fatigue. If you are constantly in pain from a swimming injury, and rest and over-the-counter pain medication do not help, make an appointment to see your doctor. We're starting to see a spike in hip injuries among teens. Hip issues are commonly associated with senior patients, but they also strike fit and athletic young adults. Frequently mistaken for a pulled muscle or groin, hip impingement is a common condition cropping up among teens. Hip impingement can be downright painful - it may feel like a throbbing, pounding, or pulled sensation in the upper thigh or groin area. Teenagers who play high-impact sports, such as soccer, basketball, and track and field, often think they're suffering from a pulled muscle... and so do the doctors. And sad to say, many patients live with this pain, and go on multiple doctor visits, for several months before getting the right diagnosis. Hip impingement happens when either the socket or ball of the hip joint gets worn down, preventing smooth movement within the joint. This grinding action of the joint is what creates pain in the surrounding muscles and tissue. 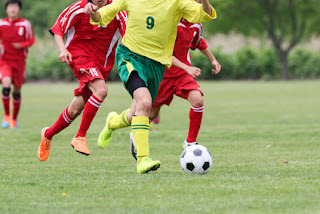 When kids are young and active, and their bones not quite fully formed, repetitive motions like jumping and running in sports can cause the hip joint's ball and socket to lose their shape easily. If not treated properly, hip impingement can lead to early onset arthritis. In some cases, arthroscopic surgery may be necessary to correct the shape and functioning of the joint. This type of surgery involves a very small incision and tiny instruments with a short hospital stay and minimal recovery time, especially for young and healthy teens. If your teenager is experiencing this pulled muscle sensation in the hip or groin area, contact us to make sure it's not a hip impingement. 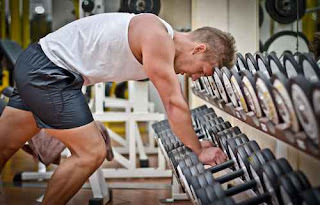 Are you a "weekend warrior" in terms of your workout routine? Meaning do you save up all your energy and aggression from the work week and head to the gym just on weekends? If you are sedentary for the majority of the week, but then really go all out at the end of the week, you could put yourself at risk for several common sports injuries. The most common of these injuries are the sprains and strains. Many injuries result from not being properly conditioned or warmed up enough before starting physical activity. By adding a workout or two during the week, using those same muscles you plan to engage later on, you will better prepare your body for what lies ahead during your more intense weekend routine. Simple stretches to warm up and get the blood flowing to your muscles can also help protect you from injury. Learning to recognize when you have reached your limit or are fatigued is important too. You may think that working out longer and harder is a good thing, but shorter, more regular exercise throughout the week tends to be more beneficial. For ongoing pain that is not alleviated by this treatment and/or over-the-counter pain medication, contact us.